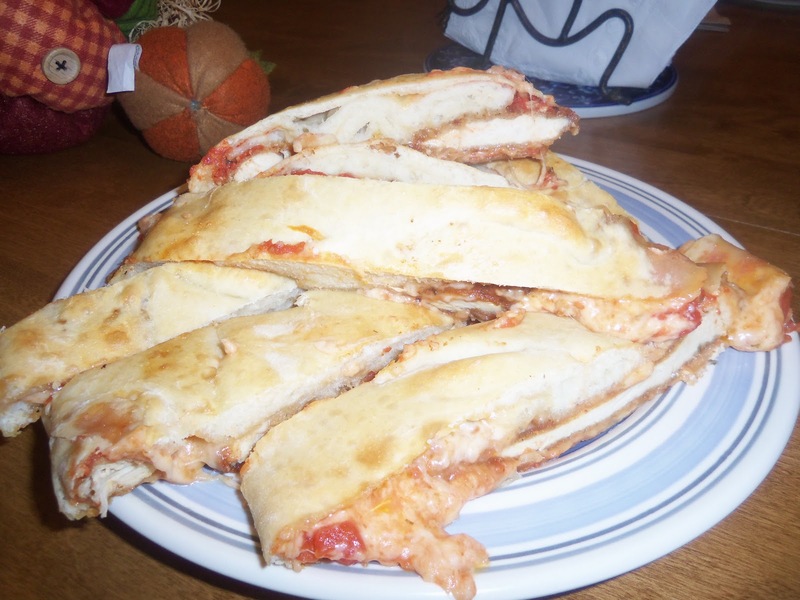 There are many ways to make pizza breads I already shared my pepperoni one HERE. But I make other versions as well. I’ve done a chicken parm one….which is filled with breaded chicken cutlets, mozzarella cheese and tomato sauce. I’ve also done it with sausage, peppers and onions and I’ve done my favorite which is filled with spinach and provolone cheese. YUMMY! I like to have a variety of flavors when I make things like this because not everyone likes pepperoni and not everyone likes spinach. In my family alone, Joe and Olivia go for the pepperoni one, while Ava and I like the spinach one. So those are the 2 I make most often. The worst part of this recipe is squeezing the water from the spinach…it’s the worst, I get annoyed and it’s messy…if anyone has an easier way to remove water from spinach PLEASE share! Obviously I’m being a bit dramatic because I still make it often, but it still annoys me! Defrost all spinach and remove water (by squeezing to your heart’s content and then draining a bit longer on paper towels). You want most of the water removed. This will give your hands a good workout! You will lose some spinach down the drain, don’t panic…it happens. 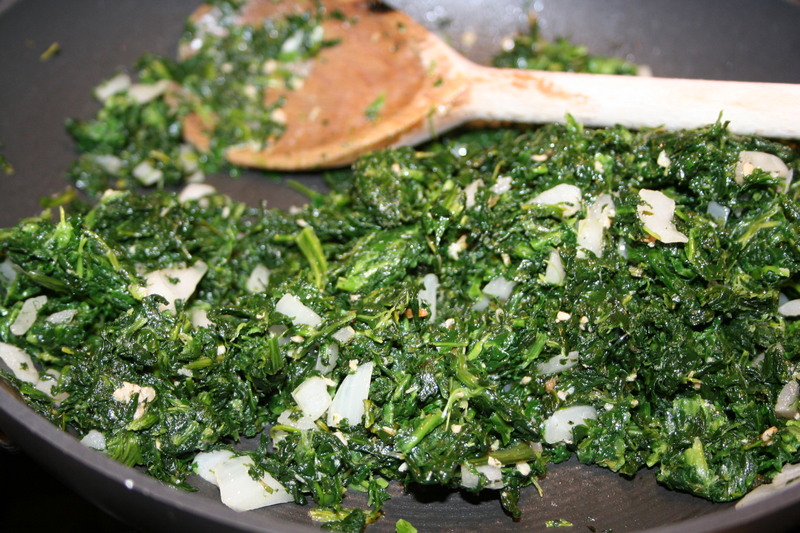 Once water is removed from spinach, saute with garlic and oil in a pan until flavors incorporate and spinach is cooked thru. I LOVE garlic so I use a lot, but go by your taste. I didn’t include measurements. Let Cool. Roll out your dough into an oval. Remember you are going to be folding it all over…so make sure it’s big enough, but not too big that it won’t fit on a baking sheet. Cover the rolled dough with cheese and then with spinach. 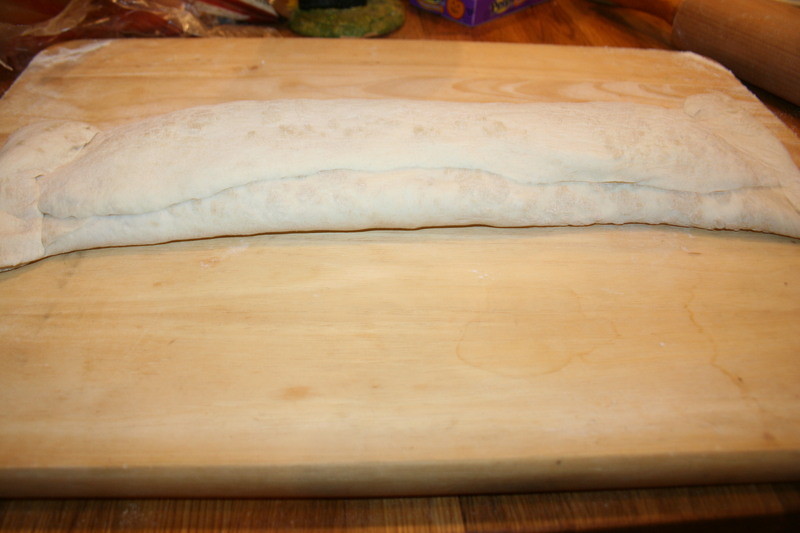 Fold up sides and ends. Oil the bottom of the baking sheet with a thin layer of olive oil. Brush the entire bread with an egg white (beat). Bake for approx. 20 minutes or until brown on top and crispy.